Interested in insulation rebates and savings? We have some good news! 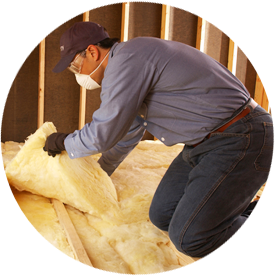 Tidewater Insulators is a trade ally partner of Columbia Gas of Virginia, the third largest gas utility in the Commonwealth of Virginia, and they are offering insulation rebates for homeowners. Columbia Gas has an energy efficiency and conservation program called WarmWise, which is designed to help customers cut down on energy costs and save natural resources. Through new program offerings (which became available on January 1, 2013), residential customers can get a rebate of 18 cents per square foot for attic insulation and 30 cents per square foot for floor insulation. The program ends on December 31, 2015, and rebate forms must be received by January 31, 2016 to be eligible. How Can I Get Started with WarmWise? If you’re a Columbia Gas customer, you can begin by taking the free Home Savings Evaluation. After the evaluation is completed, you will receive customized energy-saving tips and a free energy efficiency kit. On Columbia Gas’ website, you can also review the list of equipment that qualifies for WarmWise rebates and get rebate applications. All residential service customers qualify (excluding propane service customers). Besides Insulation, What Rebates are Available? Contact Tidewater Insulators to learn more about our preferred partnership with Columbia Gas or if you want to learn more about insulation rebates and savings!